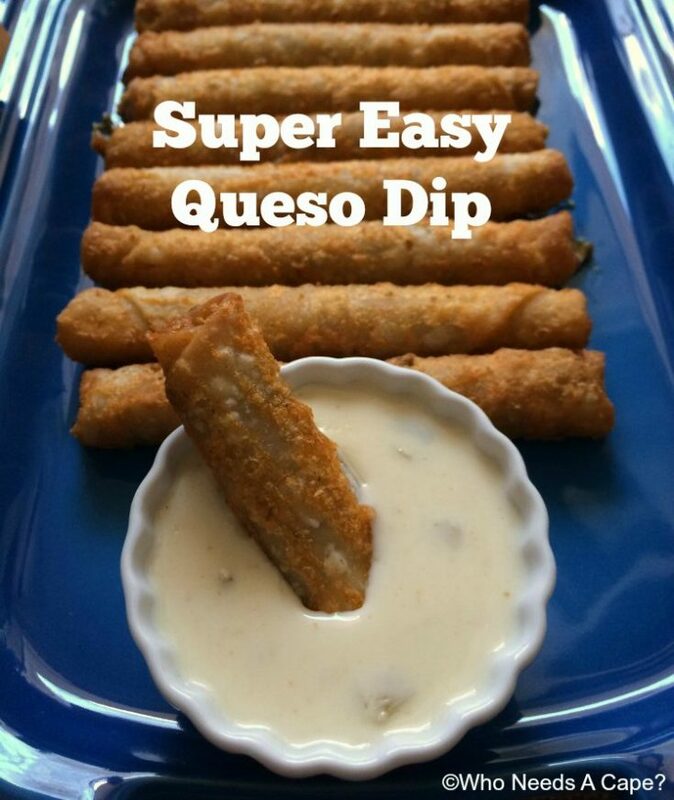 Super Easy Queso Dip | Who Needs A Cape? 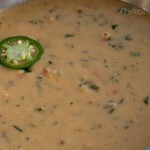 Get your fiesta going with this Super Easy Queso Dip that is sure to please. With cheese and green chilies this is the ultimate dip for tortilla chips. You know those small victories in life? The ones that may not mean much to others, but inside you’re fist-pumping and shouting YES! Well, for moms you can refer to those as #MomWins , those times where you want to proclaim to the world … SUCCESS! Around my house it may be something as simple as no complaints before leaving for school, getting a certain 6-year-old (we won’t name names) to brush her hair without whining, or maybe even getting all the homework done before bathtime. Those #MomWins most definitely occur while feeding my kids too. We’ve all been there, kids roll in from school and they are “starving” – their words not mine! And dinner is late, as much as we’d like to think that dinner hits the table at the same time each and every night, the reality is that from time to time it gets delayed. Or better yet, you have no idea what to actually make for dinner! That’s when items such as El Monterey Southwest Chicken Taquitos are a lifesaver! Keeping some in the freezer for times such as these is a great #MomWins idea. 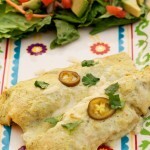 These taquitos are crunchy on the outside and filled with delicious ingredients that are hearty and flavorful. The kids love them and in just a few short minutes you’ll be serving them up and then gobbling them up. El Monterey not only helps with family-friendly snack options but also helps during those hectic mornings too. 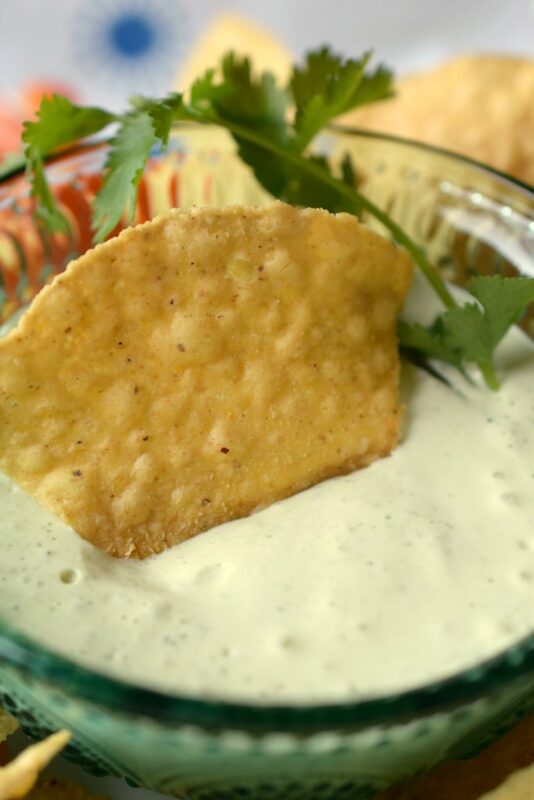 With Cinco de Mayo right around the corner, I decided to whip up a Super Easy Queso Dip which complements the El Monterey Southwest Chicken Taquitos nicely. My youngest daughter once proclaimed “we’re a cheese lovin’ family” and I have to agree! 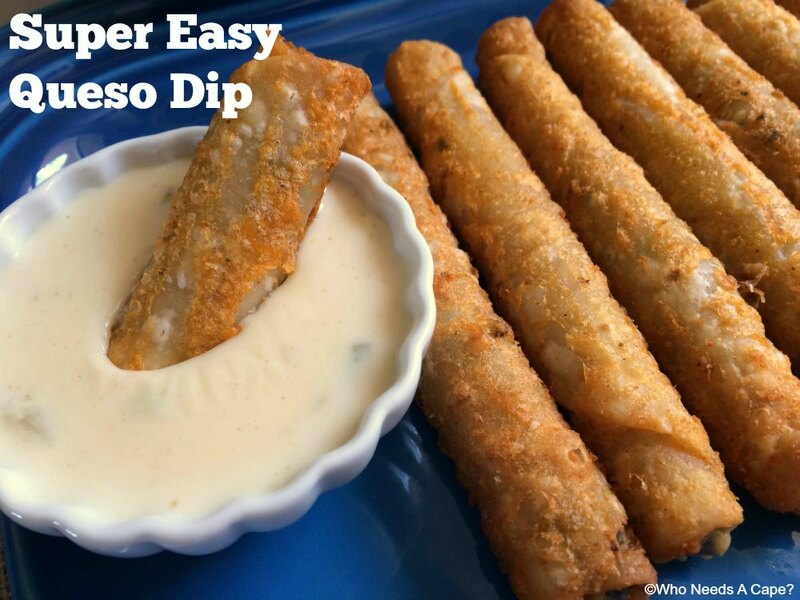 Dipping the El Monterey Southwest Chicken Taquitos into some Super Easy Queso Dip took snacktime to a whole other level of YUM! 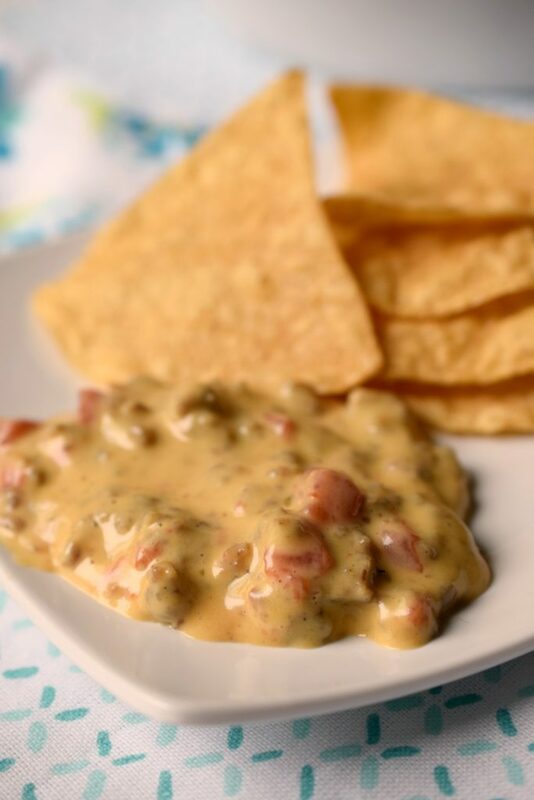 Trust me, if you love queso this is a quick and easy dip that will get you out of the kitchen and enjoying in no time! Using a double boiler, heat milk until warm. Add cheese, breaking slices into small pieces. Stir until completely melted. Add diced chilies and spices, combine thoroughly. Serve immediately. 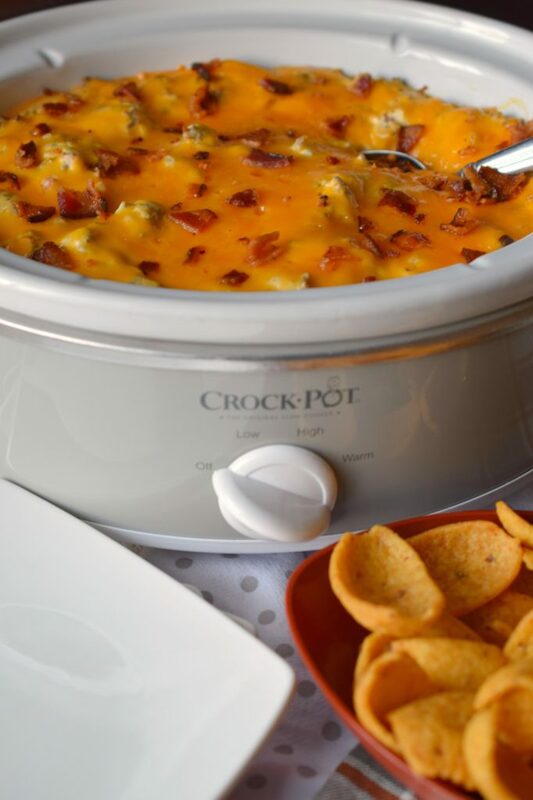 If you are not serving immediately, you can place into a small slow cooker to keep warm. 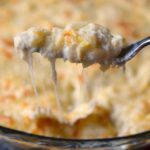 Double this recipe if making for a large group. This serves 4 nicely for snacking. 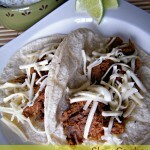 You can also add additional chili powder or hot sauce to kick this up a bit. Just dropping by to check out your super easy recipe. 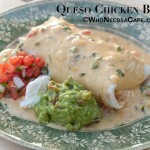 I really need an easy button lately so this recipe might be perfect to add to my easy menu items. Easy recipes are always good to have on hand! 🙂 Thanks for stopping over Heidy!! !